MARQUEE BRINGS OUT THE BIG GUNS FOR AUGUST! 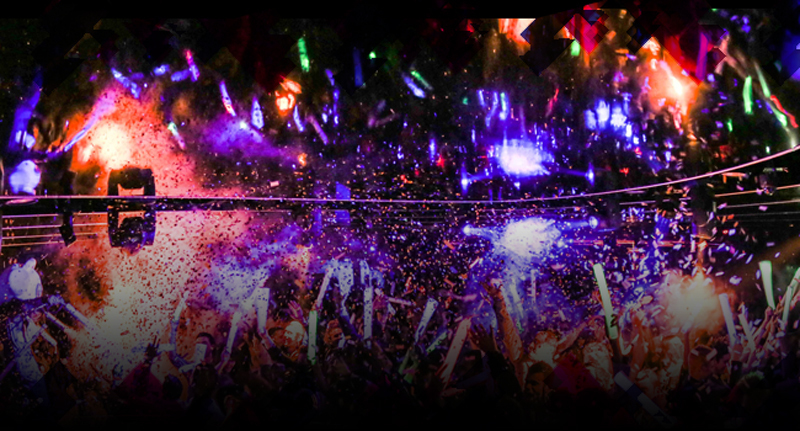 There is never a dull moment at Marquee Sydney, and August is no exception. This month, Marquee brings out the big guns having snatched several EDM royalties to perform over five colossal weekends! On the agenda we have musical goddess Havana Brown, trance extraordinaire Marlo and unstoppable mix-masters Tritonal, just to name a few. Shifting into party mode first is the Melbourne glamour with an attitude, Someblonde DJ. Proving she is more than a pretty face, Someblonde DJ has performed at international festivals and has gained support from the likes of Nervo and Markus Schulz. August 2nd will see the club turn into a night of mystery and pure sophistication with the inaugural Dom Pérignon Masquerade Ball hosted by the gorgeous Renee Somerfield and Sheridyn Fisher, who are both social media sensations – and for good reason! In similar style of the famous Venetian masked balls, the evening will take guests on a journey of indulgence and seduction. Enjoy the sounds of Australian club beauty Havana Brown and UK superstar Ashley Wallbridge. Last time Marlo headlined at Marquee Sydney, he was joined by the stunning vocals of Emma Hewitt and together they blew the crowd away. This month, August 9th, the Australian trance pioneer is back for another night along with the talented Ashley Wallbridge. On Saturday 16 August, the dynamic duo from Austin, Texas Tritonal will unleash their monster tracks and show the crowd why they are the one of MTV Clubland’s “10 Artists to Watch in 2013”. The internationally acclaimed house DJs are bound to ignite the stage as they take over the Main Room decks. Party-rocking, California based duo Candyland will make their ultimate debut to Marquee Sydney on Saturday 23 August. Making their mark on the EDM scene, they continue to pave their own lane bridging the gap between Trap, Dubstep, and House music with every original and remix they release. Signed to Steve Aoki’s Dim Mak, Ministry of Sound Australia and Laidback Luke’s Mixmash, Uberjakd has proven to be Australia’s rising EDM star. Say goodbye to August with a mix of head-banging, hard-hitting and dirty bass as Uberjakd headlines on the Saturday 30 August. But August would not be extraordinary without performances from a few of the Marquee Sydney’s favourite DJ’s. Each week, enjoy the mixes and mash-ups from a fellow resident – K- Note (8th), Zannon (15th), G-Wizard (22nd) and ZeroCool (29th).